Together, endometrial and ovarian cancers account for about 25,000 deaths each year and are the third leading cause of cancer-related mortality in women in the USA. 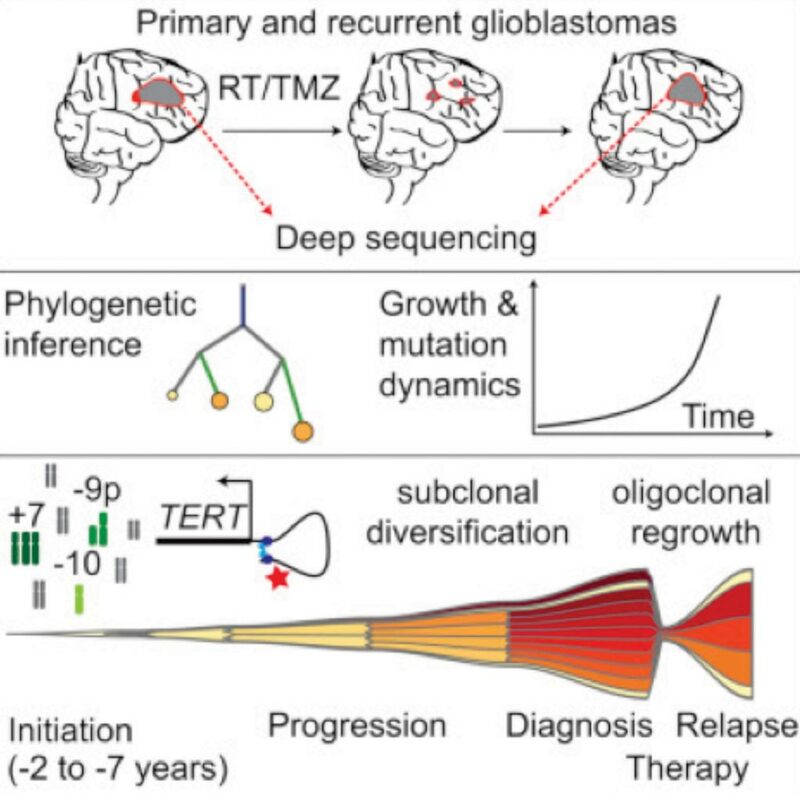 Most of these deaths are caused by high-grade tumor subtypes, which tend to metastasize before the onset of symptoms. 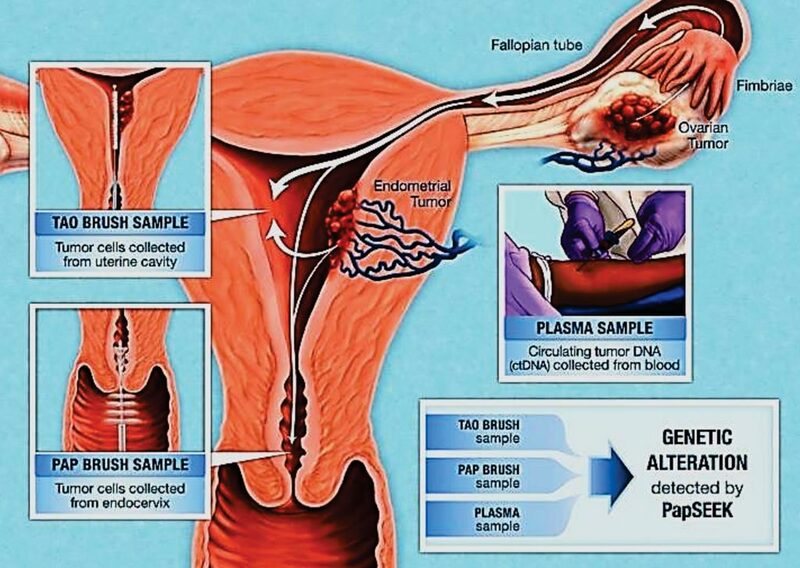 Cervical fluid samples gathered during routine Papanicolaou (Pap) tests are the basis of a new screening test for endometrial and ovarian cancers. The new screening test called PapSEEK detects mutations in DNA that have been identified for specific cancers sooner. Earlier detection of cancer could lead to earlier treatment and potentially better outcomes for patients. Image: Since fluid from the Pap test occasionally contains cells from the endometrium or ovaries, scientists found they could detect cancer cells from these organs that are present in the fluid by using different brushes (Photo courtesy of Johns Hopkins University). An international team of scientists working with those at Johns Hopkins University School of Medicine (Baltimore, MD, USA) carried out a retrospective study with samples collected from 1,658 individuals, including 656 patients with endometrial or ovarian cancers and 1,002 healthy controls. The average age of 714 women without cancer who underwent Pap brush analysis was 34 (range, 17 to 67 years). The average age of 125 women without cancer who underwent Tao brush analysis was 29 (range, 18 to 74 years). For intrauterine sampling, the Tao Brush IUMC Endometrial Sampler was used. For each sample, a single primer pair was used to amplify ~38,000 loci of LINEs throughout the genome. Massively parallel sequencing was performed on Illumina instruments. DNA from Pap brush samples, Tao brush samples, or primary tumors was amplified in three multiplex polymerase chain reactions (PCRs) with 139 primer pairs that were designed to amplify 110- to 142-bp segments. DNA from plasma was amplified in two multiplex PCRs consisting of 61 primer pairs that were designed to amplify 67- to 81-bp segments. The investigators found that PapSEEK was nearly 99% specific for cancer, and it detected 81% of endometrial cancers and 78% were early-stage cancers and 33% of ovarian cancers and 34% were early-stage cancers. Of the 123 endometrial cancer patients studied using Tao brush samples, PapSEEK identified cancer 93% of the time. Of the 51 ovarian cancer patients studied, 45% tested positive for cancer with PapSEEK. There were no false-positive results. When the plasma and Pap brush samples were both tested, the sensitivity of the test for ovarian cancer increased to 63%. Lucy Gilbert, M.D. MSc FRCOG, director of gynecologic oncology at McGill University Health Centre, (Montreal, QC, Canada) and a senior author of the study, said, “This allows sampling closer to where the cancers originated. Intrauterine sampling proved particularly important for increasing the detection of ovarian cancer.” The study was published on March 21, 2018, in the journal Science Translational Medicine.